Home page → Photo sessions in cenotes, trash the dress → Beautiful cenote photography. 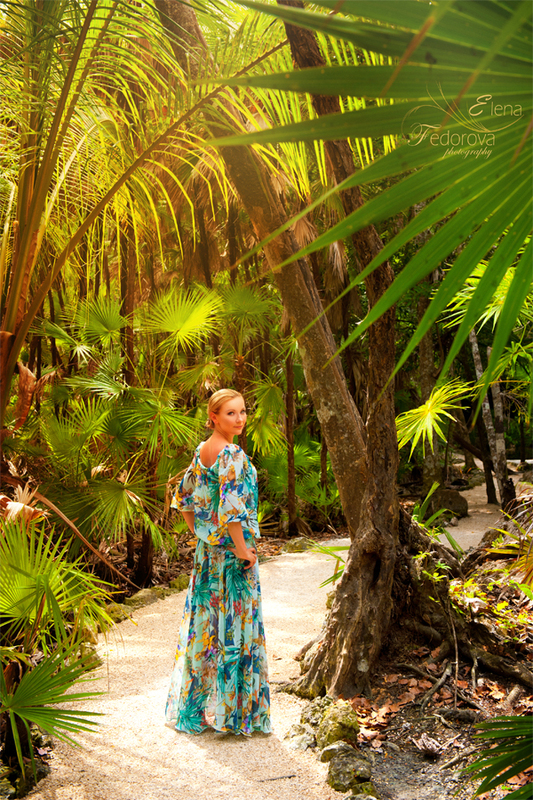 Cenote photography is a popular style in photography in the Riviera Maya, Mexico. Such type of photography can be described with several words: beautiful, magical, unusual and unique. There are hundreds of cenotes in Riviera Maya and even more in Yucatan peninsula. Only half of them are discovered and opened for visitors. All cenotes are divided into four categories: 1. underground, they are totally located underground, 2. Semi underground – the ones that are only half covered 3. The ones that are located on the same level with the ground. 4. Fully opened cenotes that look like a well. Whatever category, they all look amazing. 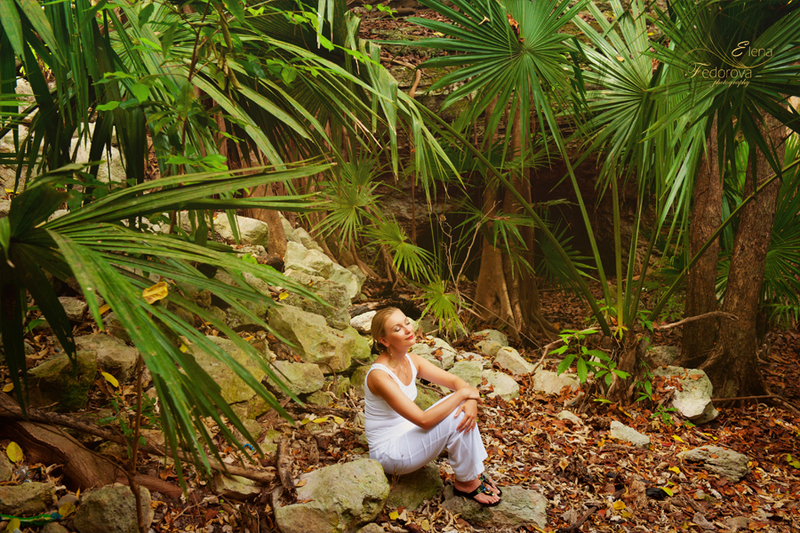 Nowadays photo sessions in cenotes have become very popular. Usually they are taking place on the next day after the wedding or during the honeymoon vacations. The newlyweds both dressed in their wedding clothes are first being pictured in the tropical surroundings of the cenote and then after in the water or under it. While organizing such photo sessions you need to consider that the water in the cenotes is cold, especially in comparison with the water in the sea. That is why it is possible to stay in the water only for a little period of time or make the photo session with small breaks. Cenote photography gives every photographer a great space for creativity. Beautiful stalactites and stalagmites in combination with tropical nature create a wonderful and remarkable ambiance for every photo session. In some cenotes the water has a turquoise color which adds even more beauty to every photo. In order to make every photo from such session look even more spectacular for the woman it is better to use long dresses light or bright colored. For the man it is preferable long pants with long sleeves shirt. Cenotes are opened from 9 a.m. to 5 p.m. and the best time for the photo session is in the morning or closer to the evening. Further you can see photographs made during one individual photo session in Tulum, Riviera Maya. Check this link to see the photos from underwater photo session in cenote. ← Romantic sunset photo session in Cancun.